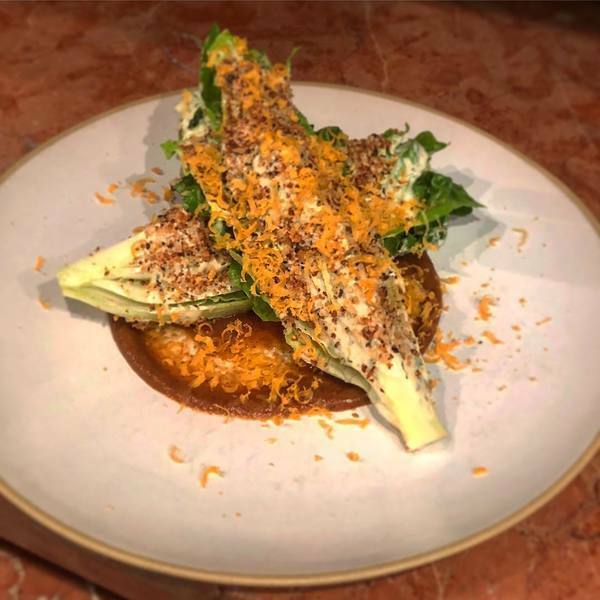 "This little gem lettuce with charred persimmons purée , herb dressing and shaved smoked cured egg is new to our menu and beginning to be my favorite salad yet . Growing up my grandmother always had persimmons ripening on the counter . Had an unripe one and hated it for obvious reasons, but grew to love them. I wanted to use them some way and this came out delicious and brought back memories at the same time. #notyournonnasitalian"
When you need a break from balsamic.